An entrepreneur owner looking for GROWTH? A business owner ready to move beyond the trenches? Ready to get control of your business? Ready to grow your company revenue and your paycheck? Ready to build processes and procedures? Are YOU The Determined? The Determined Entrepreneur program is coming to Columbus in September. Space is limited, so register today! 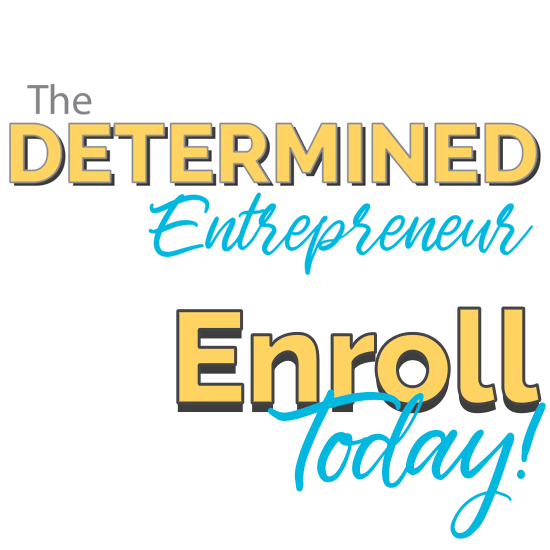 The Determined Entrepreneur Program is coming to Columbus in September. Space is limited, so register today! The level of education and information received in the program was exactly what my business needed at a time when scaling is critical to our success. The ScaleUp program has helped us identify how we can adjust pricing of our services, find and hire the right people, and know where to put our efforts in business development to attract the right clients. The biggest learning that I had in the Scale Up program was the value of my time and what my priorities should be. In order to grow and have a strong company I must have the best people working for me. This means a cultural fit. I must also focus my time on the sales and operations of the company, not on doing the work. I have learned to use financial projections and reporting as indicators of what areas of the business I should focus on now and in the future. I was at the place where I needed to make a decision. Am I going to grow with the same business model or shrink? I was beyond capacity and didn’t know the next step to take. As a result of the ScaleUp program, I feel empowered and know that really big goals are achievable. I’ve given myself permission to think big and achieve big!